Environment and design, always a tense relationship. It is possible that the latest (bio)composites will relieve some of the pressure. The production process for traditional glass and carbon fibre composites has been significantly improved, and is much easier to apply. Biocomposites based on plant fibres such as flax and hemp have begun their unstoppable advance. With their combination of low weight, solidity, long life expectancy, and efficient production, these materials have a bright future ahead of them. 2 April 2015 will see an afternoon filled with fascinating lectures on the theme of Designing with Composites from 2 pm onwards, covering the latest developments on the matter. Scientists and designers with varied perspectives shed their light on this tale of glass, carbon, and biocomposites. Design practice, material innovation, and cultural values will be extensively discussed. At the same time, a small pop-up exhibition is kicked off with recent designs using flax and hemp composites. 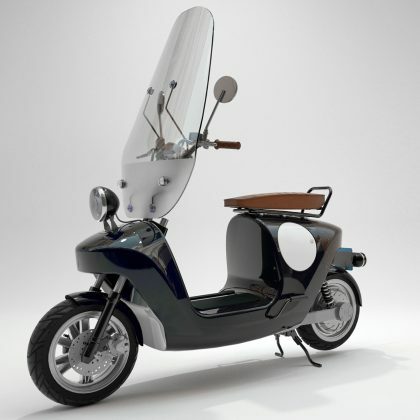 The starting line features, among others, the sporty electric roadster I-Care Racing Pierre Lallemand and X.Design Team, BE), the first biocomposite electric scooter Be.e (Waarmakers, NL), and the Low Chair LC03 (Maarten Van Severen, BE). The lecture session and exhibition grew from a Science Communication project by LUCA - School of Arts, and are realized in collaboration with the Materials Science Department of the KU Leuven, Design Museum Gent, CELC (European Confederation of Flax and Hemp), and Design Vlaanderen, along with Texture (Kortrijk), and ABV (Algemeen Belgisch Vlasverbond).